Two more Philly eateries are using Taffet's gluten-free bread for sandwiches: Fishtown's Soup Kitchen Cafe (2146 E. Susquehanna Ave., 215-427-1680) and Red Hook Coffee and Tea in Queen Village (765 S. 4th St., 215-923-0178). 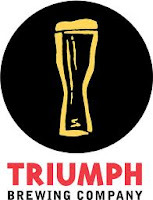 Triumph Brewing Company's Princeton location (138 Nassau St., 609-924-7855) now offers a gluten-free menu. The crab cakes, sesame tuna and several soups are listed as gluten free on the menu at Steam Pub in Southampton (606 Second St. Pike, 215-942-6468). Other items may be modified. Seasons 52's Spring 2013 gluten-free menu is now available at the Cherry Hill Mall and King of Prussia Mall locations. Burger 21's first area location, in Voorhees (13109 Town Center Blvd. ), is set to open at the end of April. The gluten-free menu include burgers with buns, fries and salads. A branch of Luke's Lobster will be opening in Rittenhouse Square (130 S. 17th St.). According to the company website FAQ, the lobster, crab and shrimp are gluten free without the bread. (BYO bread is welcome.) The soups are made gluten-free (Hurricane Soups have potato starch) and the Empress claws are safe. Another Harvest Seasonal Grille & Wine Bar is slated for the area, this one planned to open in North Wales in July. Two Philly restaurant closings to report: Percy Street BBQ's Center City location at the Comcast Center and Kris in Bella Vista. *ndulge, a new specialty cupcake shop in Bryn Mawr (1039A W. Lancaster Ave., 484-380-2162), offers gluten-free cupcakes. Executive pastry chef Rebecca Altmann tells me that the night before a gluten-free bake, the kitchen, equipment and utensils are cleaned. The following morning, the gluten-free orders are made first thing. She keeps a separate set of measuring cups and spoons solely for gluten-free baking, as well as a separate supply of butter, sugar and cocoa. Once assembled (for example, her gluten-free vanilla cupcake is topped with a Glutino vanilla sandwich cookie), the gluten-free orders are packaged and wrapped. The next gluten-free day at *ndulge is Sat. April 13. The shop will be offering vanilla and chocolate variations of conventional cupcakes, available only by pre-order. For vanilla, there will be Candy Apple Caramel, Snickerdoodledoo, Amaretti for Cherry, Coconut sCream, Boston Cream, Florida Key Lime, Lemonardo da Vinci and Realli Vanilli. For chocolate, customers have a choice of the Chocoholic, Peanut Butter Cup, Chocolate Nymph, Chocolate Orange, Chocolate Pistachio and Chocolate Toffee. The specialty flavor will be an April Shower cupcake - orange cake filled with a mixed berry compote, topped with a blue Curacao Italian buttercream icing and blue “raindrop” sprinkles. Concessions stands at United Artists and Regal movie theaters will have four gluten-free varieties of GoPicnic snack boxes beginning this month: Turkey Stick & Crunch, Hummus & Crackers, Turkey Pepperoni & Cheese and Black Bean Dip & Plantain Chips. And speaking of gluten-free concessions, Aramark debuted its newest gluten-free ballpark stand at Citizens Bank Park last weekend, as I wrote on Tuesday. The Phillies home opener is tonight and the stand is ready to roll.